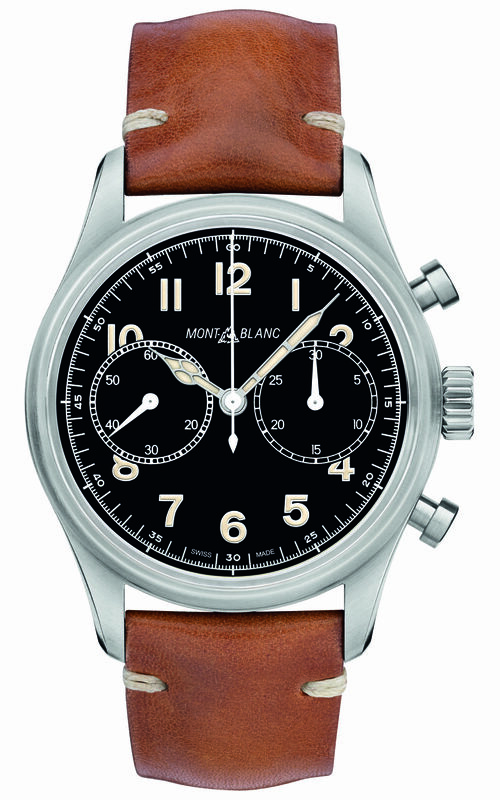 Montblanc is building a back story dating back to 1858 around the Minerva Manufacture that Richemont acquired in 2006. 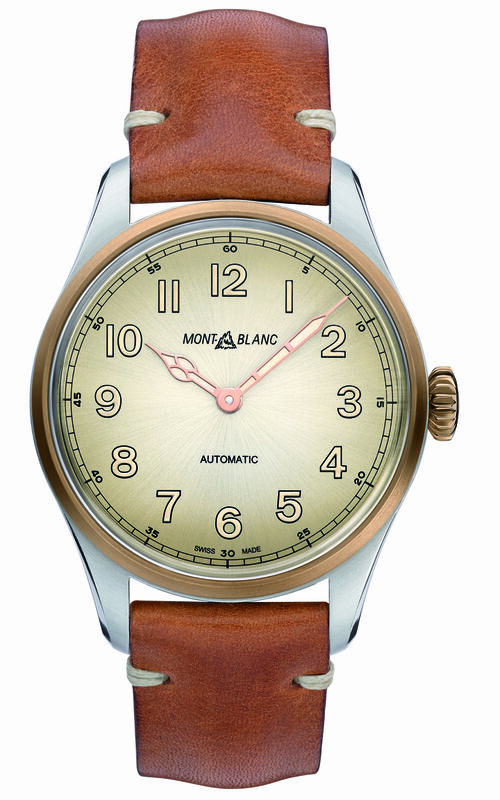 In the 1920s, Minerva invented one of the first manually wound monopusher chronograph wristwatches, taking advantage of a smaller movement, the caliber 13.20, that was used in a family of models that became favourites for military and mountain rescue personnel over two decades. 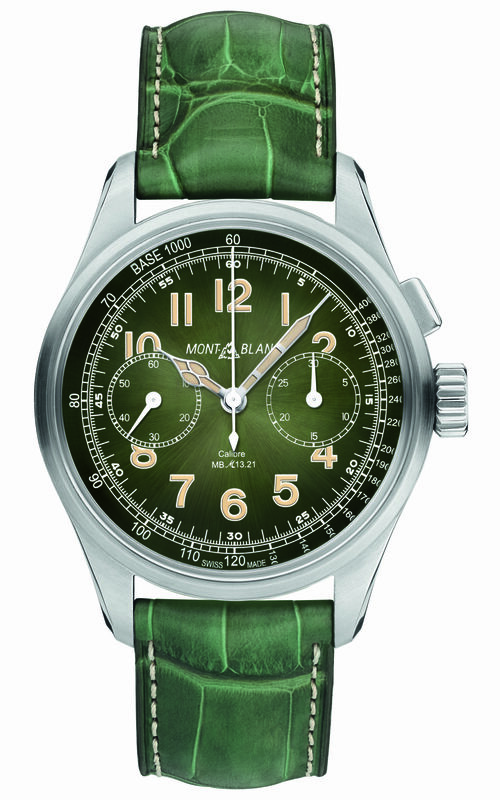 The 1920s and 30s watches provide inspiration for this year’s Montblanc 1858 collection, which comprises 40mm automatic watches, 42 mm chronographs, a 42mm Manufacture Worldtime Geosphere, a slender 40mm wristwatch with a 13-line monopusher chronograph movement, and a new multiple-purpose pocket watch with a 24-hour indication and equipped with a 16-line monopusher chronograph movement. “The new Montblanc 1858 timepieces capture the spirit of the past in a modern way, expressing the trend of back to nature and adventure. 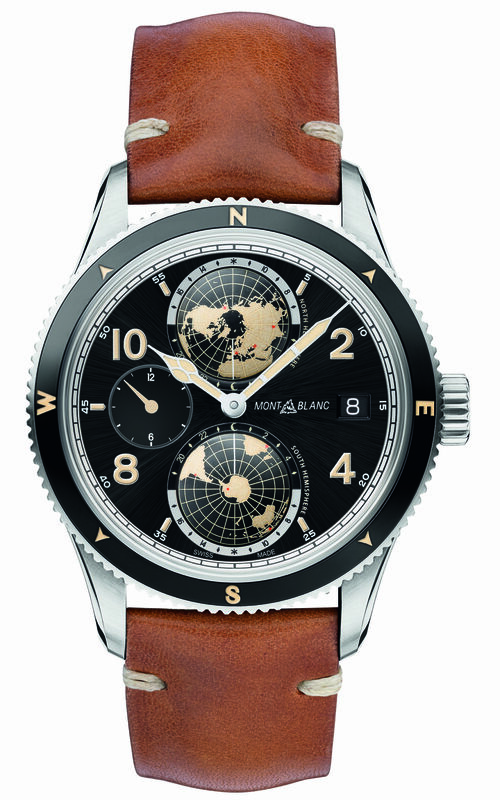 Combining materials such as a special alloy of bronze that evolves over time with innovative and useful in-house complications, like the Worldtime Geosphere, these timepieces are designed for the modern-day explorer who likes to set his own challenges,” Montblanc says.